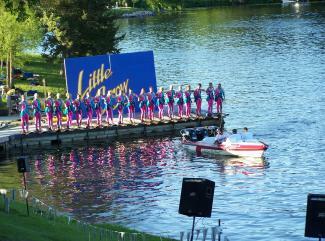 The Little Crow Ski Team has been showcasing their talents since 1979. They have countless titles under their belt, including two National and 16 Regional Championships. 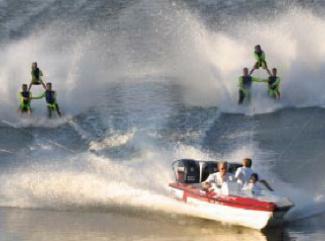 The Little Crow Ski Team puts on a weekly show almost every Friday night during June, July and August. 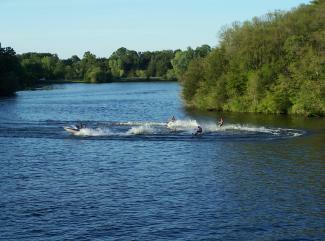 Start times are 7:30 p.m in June and July and 7:00 p.m. in August. 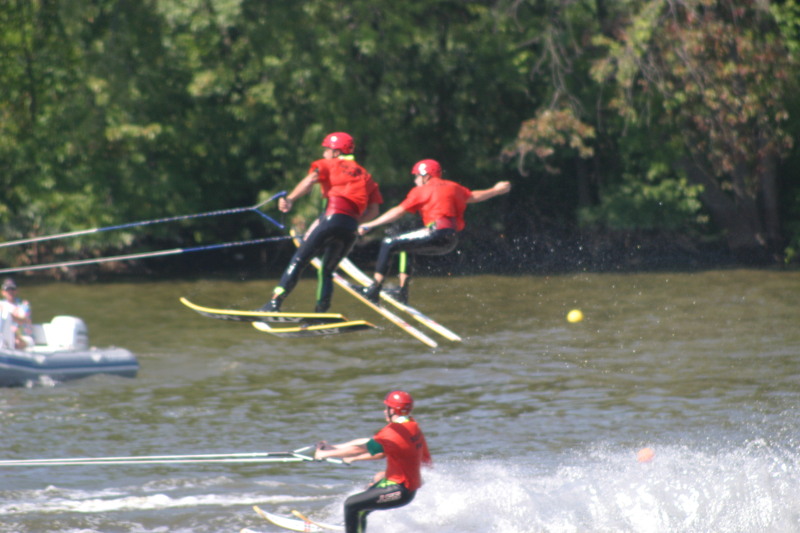 Shows take place in New London at Neer Park on the beautiful Crow River. The address for Neer Park is 311 2nd Ave SE, New London, MN. 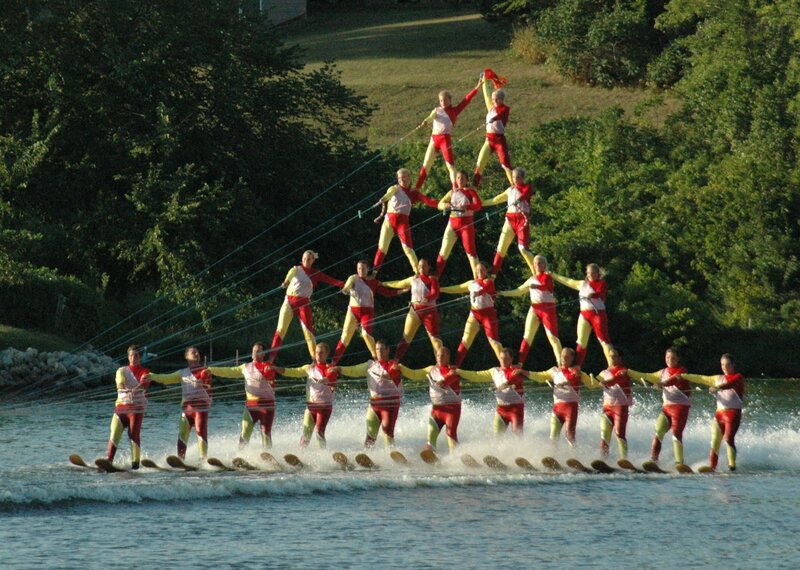 While attending the Little Crow Ski show, you will see top quality skiers perform pyramids, jumping, barefooting, ballet lines, and more. Our shows attract anywhere from 500 to 4500 people per show with both bleacher and hillside seating. Tickets are $5.00 for adults and $3.00 for students. Preschool children are free. Reserved seating is $8.00. For great fun and entertainment, please join us most Friday nights. Advance tickets are available at their website littlecrow.com or you can buy them at the gate! 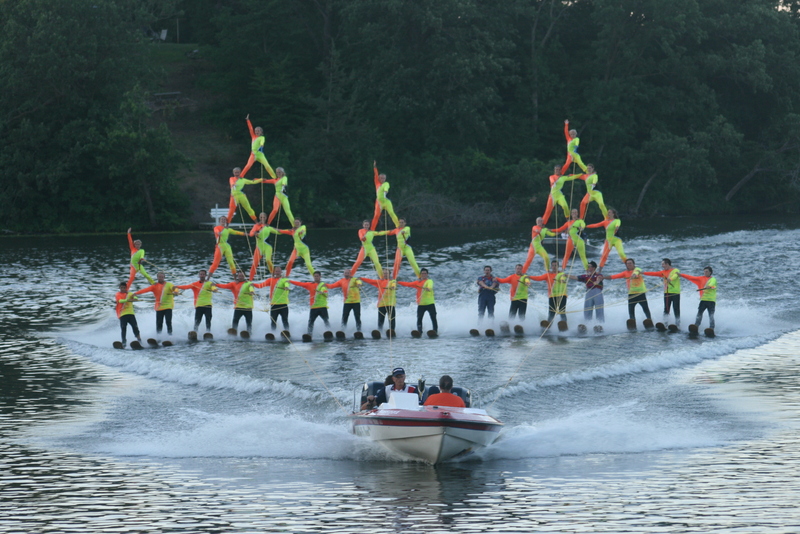 Join us for some fun in the sun and experience a unique show on the water.